About 30% of senior citizens aged over 65 in the US fall every year. Up to 15% of the population experience life threatening reactions to food, drugs, insect bites or latex. And many diabetics suffering from hypoglycemia have been mistakenly identified as being drunk. Over 400 Americans die annually from an allergic reaction to penicillin. These and several other facts warrant the essentiality and utility of life saving medical alert devices - simple electronic gadgets worn on the body to alert family and friends and doctor in case of acute medical emergency. Although such alert devices are meant for senior citizens, it is equally crucial for those suffering from serious and debilitating diseases like cardiovascular conditions, allergies, asthma and neurological problems, epilepsy, blindness and fainting. A medical alert device provides life saving information to first responders and emergency technicians and doctors.Medical identification information is custom engraved on each device piece. Critical information includes medical conditions such as diabetes, Alzheimer's, heart disease or disorders, drug and food allergies, prescribed medications, and emergency contacts. The information also includes the owner's name, telephone number, doctor's name and telephone numbers, medications, conditions, allergies as well as instructions for care if an emergency situation arises. This information serves one prime purpose of helping save a patient's life when he/she cannot speak for himself/herself. The panic button in an emergency medical alert device when pressed activates the medical alert base unit. This is plugged into any telephone jack. The medical alert alarm system calls into the Rescue Alert Response Center which specializes in medical emergency alarm monitoring. An attendant in the Response Center immediately speaks to the subscriber through the medical alert base unit's two way voice speaker. Now the subscriber explains his/her emergency condition and the Response Center attendant alerts the subscribers' personal responders be it family, friend or any emergency services. Medical alert devices come in several shapes and designs. They appear as buttons, necklaces, pendants or wrist watches. Many are designer made. They come made of precious metals like gold or silver and in practical shapes. Nowadays, with the number of image conscious wearers who dislike advertising their medical problems to others on the rise, fashionable and artistic designer medical alert devices are on the increase. This refers to an emblem or tag that is worn on a bracelet, neck chain or clothing bearing pertinent information on the medical condition of the wearer who might require emergency medical attention. The intention is to alert a doctor, or emergency department personnel of the condition of the wearer who would not be conscious enough to explain. Some people instead may prefer to carry a wallet card with the same information. Gone are the days when medical alert jewelry was nothing but a tag on a chain worn around the neck and hidden beneath the clothing. Stylish designer medical jewelry has come to stay. All the medical information is intact beneath a beautiful bracelet or necklace. The shimmer of the pearls and the reflection of the crystals in a medical alert jewelry could rival any elegant jewelry. Latest designs with silver beads and pink Swarovski crystals set in gold add a touch of brilliance with the medical tag attached easily to its clasp. Perhaps the concept of medical alert jewelry developed to make the medical alert devices more popular and acceptable. It was an effort to make the medical alert devices more fashionable and accessible. These devices take various forms such as medical alert bracelets, necklaces, anklets, rings, shoe tags, charms, wristwatches, jelly bands, sport bands and pendants. Medical alert jewelry has opened the door to a whole new world of style possibilities. Several celebrities, health care professionals and fashion magazines are embracing the new trend in fashion forward health alert jewelry. Medical alert bracelets could be a higher grade non corrosive stainless steel bracelet or a 925 silver or 14k gold. Trendier medical identification bracelets come in stately combinations of leather with stainless, rubber with stainless or beaded sterling. Stylish cuff medical id bracelets and bangle medical alert bracelets are most popular. Teenage girls would prefer to wear a delicate ankle bracelet with a dangling charm or a small engraved plate. Lovely beaded bracelets are fun, while decorative bracelets can complement any style. Men can accessorize discreetly sporting a wrist bank or a handsome watch band. The nature of the emergency conditions warrants the wearing of such medical alert bracelets. For instance, diabetics' medical alert bracelets are imperative because a diabetic can have medical emergencies any time. Medical mistakes could be made if such people are not with someone who knows their medical condition specifics. Medical alert necklace is a great alternative to the bracelet and could be tucked easily into the shirt. It could also be worn outside the clothing as a decorative piece of jewelry. Medical alert necklaces come made of diverse materials such as silver, gold or titanium. The necklace can either hold an alarm pendant or it could be personalized using the beaded necklace that come in various forms and colors. Medical alert necklace is a 'must have' accessory for those requiring special medical attention. Medical alert pendants : There are pendants which symbolize the medical situation of a person in a unique manner. For instance, pendants are available in the shape of peanut, symbolizing an allergy to peanut. Stainless steel medical id pendants are made of 316L surgical stainless steel. Some are made of 304L stainless steel. Both are hypoallergenic. Whereas 316L stainless steel is non corrosive. Medical pendants are custom engraved with medical information. Attractive medical alert watches for women and men come in a myriad colors. It could be a stylistic square faced wrist watch set with a band of large sterling silver beads that could suit any female regardless of her age. The medical tag appears in the closure of the watch band and is conveniently hidden on the underneath of the wrist. The USB medical alert tag is essentially a USB flash drive. This contains individual's emergency information. The memory factor in the USB medical alert tags is capable of carrying much more information than the conventional medical ID bracelets. Necessary information such as medications, existing conditions, doctors and emergency contacts can all be stored on the USB tags. The USB tag also enables the user to update the information as needed to provide current information to emergency personnel through any computer system. Epilepsy and any other seizure disorders. 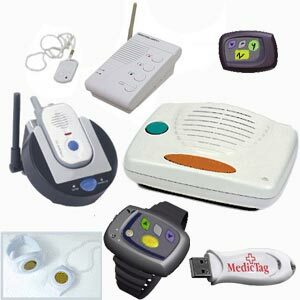 Millions of people all over the world suffering from various medical problems are now using medical alert devices. The market is flooded with fashionable medical jewelry which could be expensive. 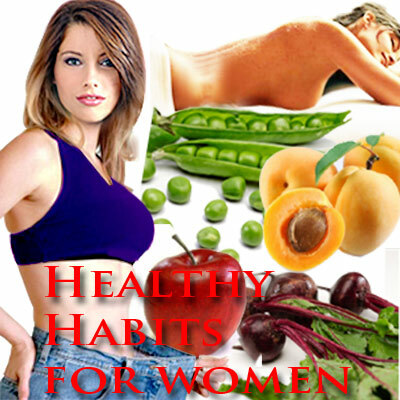 It is therefore recommended to seek a doctor's advice before deciding on a sophisticated and costly device. Wherever the product is purchased, necessary care should be taken to check on the reputation of the manufacturer, quality of the product, guarantee and its effectiveness and after sales service. It would be always wise to choose medical alert life savers that combine attractive accessorizing with clear spotlight on medical data. Always remember, that a visible and obvious message is essential to assist medical personnel make fast and accurate assessments.